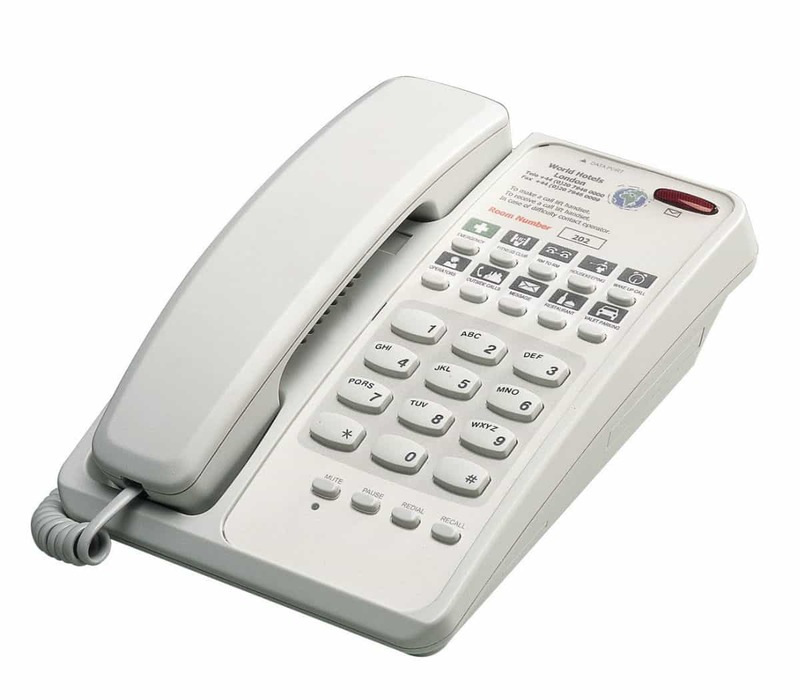 The Interquartz Voyager 9281 offers all you need from a hotel telephone and particularly benefits from a large printable area to best display the hotel’s details. It comes with a built in modem port and ten year warranty. The Voyager telephone is the ideal choice for guest bedrooms and represents excellent value for money. It offers a full-length printable overlay, 10 non-volatile memories and a modem port.